Lexus vehicles are known for their high performance and powerful driving capabilities. At Northbay Automotive in Petaluma, CA, we offer professional and quality Lexus auto repair and service. We understand that it may be difficult to find an auto repair center that you can trust to properly handle your luxury vehicle. Our auto repair shop staffs ASE certified mechanics that are the top experts in Asian import repairs and services. Our technicians are specially trained and experienced to work on all makes and models of Lexus vehicles, including the Lexus LS, IS, RX, SC, and more. 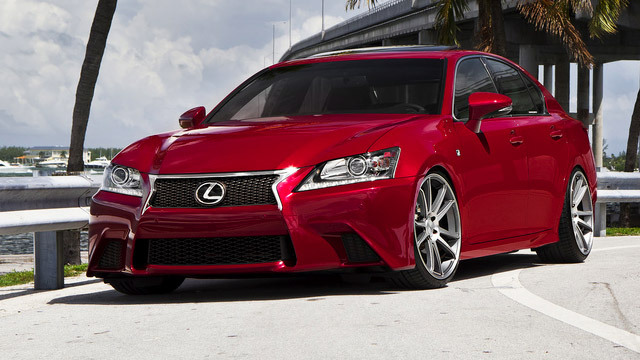 Whether your Lexus needs a major repair or is due for scheduled service, we can help. We offer a full range of automotive services, including oil changes, computer diagnostics, brake repair, transmission services, and more. It is important to stay current with your vehicle’s recommended services in order to keep your vehicle running in top condition for years to come. If you notice your vehicle’s check engine light has turned on or you’re experiencing an issue with your vehicle, bring your Lexus into our shop as soon as possible. Our Petaluma Lexus auto repair shop has the latest, state-of-the-art computer diagnostic equipment to accurately diagnose and repair your vehicle. We will work quickly to determine the exact cause of the issue and get you back on the road quickly. We understand the common problems that can occur with Lexus vehicles and exactly how to fix them. If you’re experiencing power steering failure, uneven tire wear, transmission failure, throttle issues, or leaks - we can help. When your vehicle is due for scheduled maintenance, we will perform recommended services and remind you of the next time that you are due for service. Our goal is to improve the overall performance of your vehicle and to keep your vehicle lasting for years to come. If your Lexus needs a repair or is due for maintenance, don’t hesitate to bring your vehicle into the experts here at Northbay Automotive. We look forward to seeing you soon!